At first I was going to give an update when I hit 75,000 words for the year. That’s a quarter of my goal. But that milestone passed a couple of weeks back. As of today I’m at a shade under 95,000, so will probably be a third of the way to my goal early next week. It might sound like I’m getting a little ahead of myself here, but I was making allowance for doing tutoring this year. I might not have made quite enough allowance. Tutoring is going to be one big giant tyrannosaur with teeth like stalagtites (and stalagmites). The paper’s structure has changed radically this year. Instead of the regular 4 assignments, with a three week turnaround, the paper now has nine assignment dates. Now those are smaller, certainly, some of them are much smaller, but there is much more regular on-going contact. That’s got to be good for the students and developing their writing, but for me it means that the blocks of time between the deadline dates are smaller and less free. I’m sure that it will be good for me: challenging and stimulating, rather than just cruising into it, but at the same time I’ll have to redraw the way I hit my own writing goals. Speaking of goals, my first new novel for 2012 is up and available. 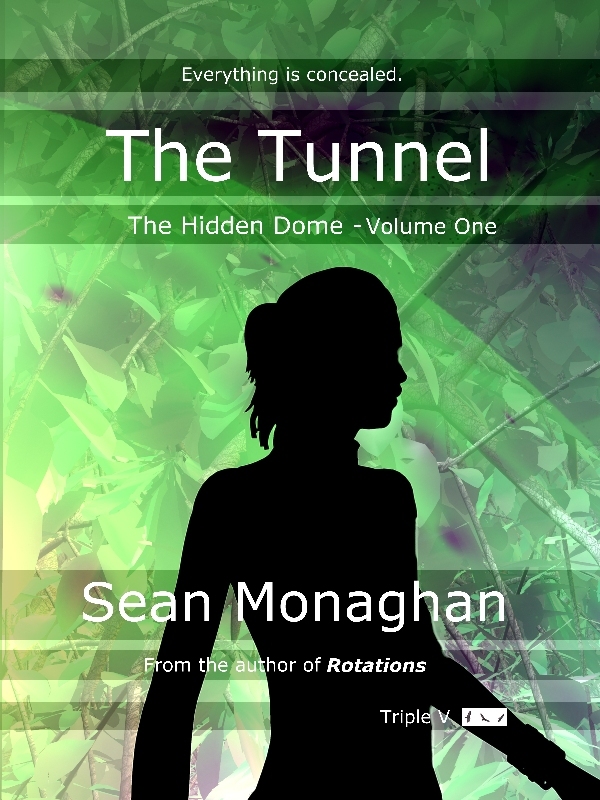 The Tunnel is available immediately from Triple V Publishing as an ebook through Smashwords – here. It’s a sci-fi adventure story. I’ll blog about it more when it’s made it through to Kindle and B&N and so on, and when the print version is out. This entry was posted in fiction and tagged ebook, novel, science fiction, word count, writing goals on 22 February, 2012 by Sean Monaghan.